Address: 20 Hectares (49.421 acres), Beachfront Land ideally touristic location. Beachfront Land for sale, in an ideal location. Samara is a beautiful beach town with white sand beaches, and cool bars and restaurants. Very popular for the Spanish School and other tourist attractions that bring thousands of people to the town each year. It as public road on two sides of the property and can be subdivided into smaller parcels. The lot has residential and commercial zoning. There is also a 14,000 sq meter parcel included in the sale that has a registered well. The property is equipped therefore, with both private and public water sources. 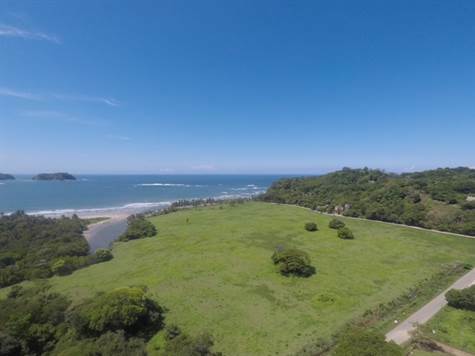 This property has 20 hectares, and is fully titled on 94% of the land, only a small 1 hectare portion along the beach is concession. All utilities are available to connect. The road is very well maintained. Beautiful, prime location, right on the beach. Samara is a very touristic town, and within 2 to 4 hours from several international airports (Liberia and San Jose). This won't last long, contact us for more information today!